Summary: Are you looking for a software program to copy encrypted DVD movies? Here we will introduce you some free or advanced DVD copy tools for you to copy encrypted DVDs easily and quickly. DVD discs are still very popular today. The reason being their cheap price and you can avail of 576p quality from a DVD movie. But genuine DVDs may come with encryption which prevents anyone from illegally copying the discs. DVD encryption also prevents the DVDs from playing on multiple media players. Only those DVD players which are CSS licensed can decrypt those encrypted DVDs and play. If you paid for the DVD then at some time you may feel to make a copy of your DVD movie and save it on your computer’s hard drive. This will save your time and money as you won’t have to buy that DVD again if you have a copy of it as an ISO or a DVD folder. So in this article, we will tell you about some software to copy encrypted DVD movies. DVDFab HD Decrypter is a free software to copy encrypted DVD movies. If you are using it for the first time then you can use it fully as DVDFab DVD Copy for the first thirty days. After your trial expires DVDFab DVD Copy turns to HD decrypter with various limitations. The free HD decrypter lets you copy the ‘Main Movie’ or the ‘Full Disc’ only. For copying purpose you will either need ImgBurn or Nero Burning ROM. But don’t care about these during your trial period. The main function of DVDFab HD Decrypter is to remove encryption from the DVD movies and save them as ISO or a folder on your computer’s hard drive. After that, you can burn that ISO to a blank DVD and can play it across multiple DVD ROMs and players. Check a quick tutorial on using the DVDFab HD Decrypter (DVDFab DVD Copy) and removing encryption from DVD movies. Please note that HD decrypter is also compatible with some old DVD encryption schemes but it you want to decrypt newer encryption schemes then please go with DVDFab DVD Copy. · Download and install DVDFab 10 for either Mac or Windows 10/8/7/Vista. · Insert an encrypted DVD in the DVD ROM drive and open the DVDFab 10 program. · Click the ‘Copy’ tab. The DVD disc should load automatically, if not then click the ‘+Add’ or the big ‘Plus’ button and add the DVD disc for loading. · Then click the ‘Copy Mode Switcher’ and either select ‘Full Disc’ or ‘Main Movie’. If you are selecting main movie then you will have the option to ‘Choose Other Titles’ and skip other videos on the DVD disc. Only one title can be selected at a time. · You can choose ‘Customize’ from copy mode switcher to choose more than one title. Customize function doesn’t work in free HD Decrypter. · Click the ‘DVD Settings’ button and select either ‘DVD5’ or ‘DVD9’ in the ‘Output’. You can’t select DVD5 in free HD Decrypter though. · Don’t forget to select the audio language and subtitles if your DVD supports multiple audio languages and subtitles in multiple languages. · Now click the ‘Save ISO’ button and enter a name for your DVD ISO file and save it on your desktop or other drive partitions. Finally click the ‘Start’ button. · Please note that if you want to make a 1:1 lossless DVD copy then use the ‘Clone/Burn’ function and save the DVD as ISO. Clone/Burn function also don’t work in free HD decrypter. · Once you click the start button DVDFab decrypts the DVD movies and save them as ISO or folder. As I told you above that you can use DVDFab DVD Copy free for 30-days. When the trial period expires it gets converted to HD Decrypter. DVDFab HD Decrypter will have some limitations and the copy functions will be limited to ‘Full Disc’ and ‘Main Movie’ only and you can’t select DVD5 for burning, DVD9 can only be used. Also, the default DVDFab burning engine won’t be available for making an ISO. It can only create a DVD folder. And lastly you can’t use the ‘Clone/Burn’, customize, split, or merge functions. 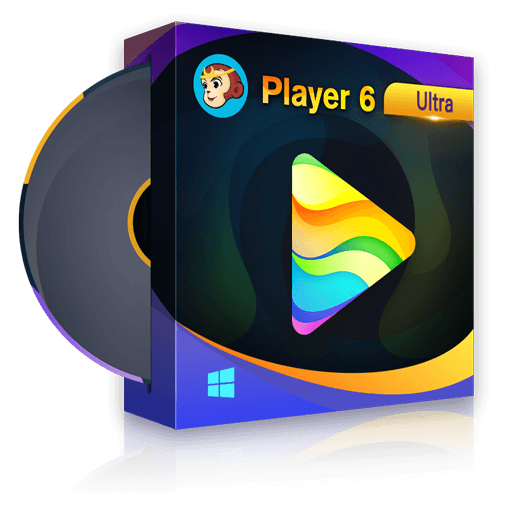 But if you want to use this free DVD decrypter software then you have to compromise with its limitations otherwise you can buy the paid DVDFab DVD Copy to remove limitations. But if you don’t want to buy it and stick to the free version then follow the tutorial below. · Download and install ImgBurn. · Open DVDFab 10 software and click the ‘Options’ icon just before the window minimize button. From here select ‘Common Settings’. · Click the ‘Drives’ tab on the top and then click ‘DVD Write’ on the left. Then under ‘Burning Engine’ select ‘ImgBurn and click ‘OK’. · Then go back to the main software window and follow the same tutorial in the part 1 above. But remember that most functions aren’t available and we have already discussed those. · Please note if you are creating a DVD folder only then there is no need to select a third-party burning engine like ImgBurn. ISO requires a third-party engine as I mentionedabove. In this part 2 we are discussing two advanced DVD copy and ripping tools from DVDFab. And they are listed below. If you are using the paid version of DVDFab DVD Copy then it won’t be wrong to say that you are actually using the advanced version of the DVDFab HD Decrypter with more options and functions. DVDFab DVD Copy provides six tools which are being explained below. 4. Split: Split a DVD9 into two DVD5 discs. So these are the six main functions of the DVDFab DVD Copy. All of the above functions support physical DVD discs, ISOs, and folders. So it is very convenient to use. We are not explaining the copy procedure because it’s exactly the same as the part 1 above but has some extra options. DVDs with multiple audio languages fully supported and you get an option to select multiple audio languages and subtitles. DVD movies have .VOB format which isn’t supported by every media player. You can also copy .VOB movies from a DVD and can play those files directly on your HDTV. But this case applies to unencrypted DVD discs. If you have encrypted DVD movies then you just can’t simply copy its content and watch on other players. You need a DVD Ripping solution which not only removes the encryption but also converts the encrypted DVD to MP4. Here we introduce to you DVDFab DVD Ripper. With DVDFab DVD Ripper it is quite possible to convert your DVD movies to common video formats like MP4, FLV, WMV, AVI etc. These formats are supported by a large number of media player devices. And secondly, you can save those converted movies to your computer’s hard drive. And it can also perform the device-specific conversion like for iPhone devices, tablets, and smartphones from various manufacturers. You just have to select your device from the list to apply the pre-configured video profiles. A DVD has many titles which are just movies. So DVDFab DVD Ripper gives you an option to ‘Choose Other Titles’ and skip the rest. It by default selects one main movie. If you want to rip the entire DVD then you have to select all the movie files on the DVD. And don’t forget this that DVDFab DVD Ripper also lets you select multiple audio languages and subtitles if your DVD supports them. You can either select all audio languages and subtitles or can skip some of them. And if you want to edit your videos then DVDFab DVD Ripper provides some editing tools like multiple trims which lets you remove several scenes from a DVD movie. Other tools include crop, rotate, watermark, and subtitle. You can also configure video brightness, contrast, and saturation in the video editor. While ripping, the DVDFab DVD Ripper automatically removes DVD encryption and converts the movies to other video formats like MP4. In this article we told you about three DVD tools which remove encryption, let you copy the DVD to an ISO, blank DVD, or a folder, and rip the DVD movies to popular video formats. If you want to stick to the free HD decrypter then you will have to use ImgBurn. If you want more advanced DVD copy and ripping solutions then considering buying DVDFab DVD Copy and DVD Ripper. Both this software are worth your money and best DVD solutions for copying and ripping with many useful features and options. Do you love romantic movies? Here are the 10 best romantic movies on Netflix for you to watch. Also, we introduce you the tools to back up Netflix DVD rentals.